Smart technology has been floating around for years and slowly gaining popularity with home and business owners alike. It is a convenient option to have installed into your home, and it will increase your home or business’s value. This thermostat is set apart from regular or even programmable thermostats because it will learn your habits and be able to anticipate what you want after a few days of using it. 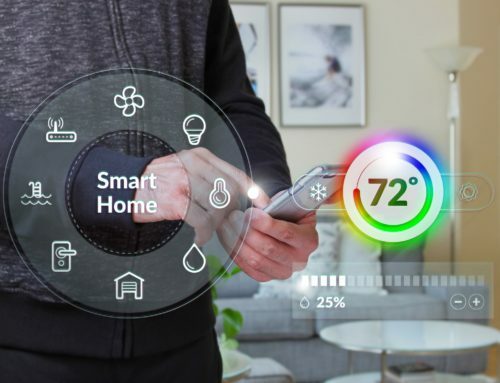 This article will go over the top ten benefits of having a smart thermostat installed into your home or business so you can see for yourself why people are raving about them. Programmable thermostats may save you money, but with a smart thermostat, you have even more control. If you leave the house and forget to lower your thermostat, you can access it from your smartphone, laptop, tablet, computer, or any device that can access a wireless internet connection. You just connect to wireless internet and log into the app that came with your smart thermostat. You can lower or raise your temperature, and set the control to vacation mode so that it will reduce your energy use. This control option will save you money, as well as energy. A smart thermostat can give you information on your indoor environment, and it monitors it 24 hours a day, 7 days a week unless you program it not to. You will be able to check your home’s humidity level at the touch of a button. Being able to check the indoor humidity level easily will help you figure out if you have to lower, maintain, or raise the temperature to reach your optimal living environment. If you have a constant humidity level, this will lead to you being much more comfortable in your home. The app that comes with your smart thermostat has a broad range of alerts you can set to have come to your phone or device no matter where you are in the world. These alerts will let you know if you home is either too hot or too cold. These warnings are particularly useful in the winter months when you’re afraid of your pipes freezing and bursting. You will receive a notification and be able to adjust your temperature accordingly. It takes the worry out of leaving you home during the winter months. Your new smart thermostat can monitor the environment and the conditions outside of your home or business as well. It works by communicating with the sensors that are outside to get an accurate temperature and humidity reading. If you have easy access to this information, you can regulate the indoor temperate much better. Humidity will make everything feel warmer than it is, both indoors and out. This makes adjusting your indoor environment harder if you only have access to a temperature reading. This step will save you in energy costs because you won’t be taxing your system so much trying to maintain one temperature. Many smart thermostat systems can and will provide monthly energy usage reports. This information is useful for a home or business owner to track exactly where their money is going. Some systems come equipped with maintenance reports as well, so if your thermostat is acting up, you will know the source of the problem. These reports can also help you budget your money for your energy bill because they will show any increases or spikes in energy usage you might have. You can compare your energy usage to other households, and get tips on how to reduce you energy usage level as well. We’re all human, and we’re all prone to making mistakes and having errors. A smart thermostat takes any human error out of the equation. This thermostat will learn your routine and can drop or raise the temperature depending on your leaving and your coming back home schedule or routine. This will make sure you never leave the house and leave your heater or air conditioning running when it doesn’t have to be on. A smart thermostat can act as an extra layer of security for any business or homeowner. You can check the status of your home periodically throughout the day from the app. If there are any significant changes like a power outage, fire, or burst pipes, you will receive a notification, and then you can take the appropriate action. Having a feature like this is like having an extra set of eyes on your home that monitors it 365 days a year, for 24 hours a day. Because you can choose to have updates sent to you, you will be notified about any security threats as well as the issues listed above. A smart thermostat is designed for every technical skill level. They feature user-friendly apps and settings. There is a bright display screen, and everything is just a touch of a button away. Smart thermostats are ranked as very easy to install, and there are videos to give you additional instructions if you want to install it yourself. This process will save you money from not having to pay a professional installation fee, and if you get stuck, there are resources available to assist you. These thermostats have an extremely high accuracy rating, so you can control the environment much better than you can with a regular thermostat. You will know your home’s exact temperature and humidity level just by looking at the screen. You can also adjust the thermostat to the exact degree you’re trying to obtain, and the thermostat will raise and lower the temperature to keep your home at the exact set level consistently. This means you will get the luxury of a perfect temperature setting to suit your needs, every day of the year. If you have a smart thermostat, you can compare the savings you have now, compared to the savings you had before. You should see a significant difference. There are so many money saving options you can program into your thermostat, like vacation mode. Vacation mode is an option you can set when you plan to be gone for a few days to a few months. Your thermostat will regulate the temperature, without running all the time. You can set the levels you want it to switch on and off, and it will work within those boundaries. You can even shut it almost entirely off, and you will be notified if it gets too cold and needs to be reset. Smart thermostats are the wave of the future. They are rapidly gaining popularity, and more homeowners are seeing the benefits of installing them. Their convenience and their ease of use are a huge draw to people who might have been intimidated by this technology beforehand. 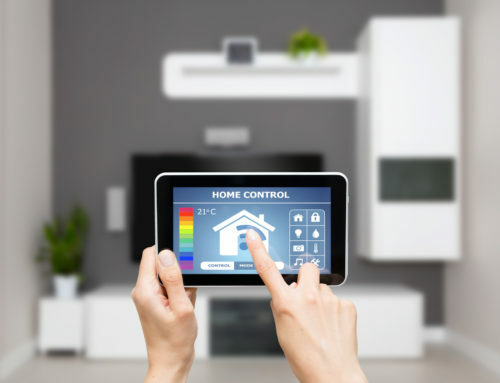 Smart thermostats will continue to gain attention, and more homes or businesses will be installing them in the future. Does My Home Really Need a Smart Thermostat?